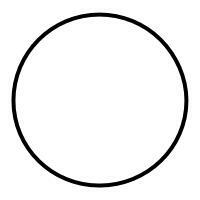 If I describe to you a line that is curved such that its ends coalesce and every point on said line is equidistant from a central focal-point, can you picture exactly what I’m talking about? What if I showed you this? The phrase “a picture is worth a thousand words” is about as cliche in marketing guides as “content is king.” But it’s far less controversial. Images catch our eye better than words. They keep our interest better, communicate complicated ideas better, and (when done well) communicate professionalism more easily. Not to mention they affect conversion rates like nothing else.. The addition of an image to HubSpot’s landing page generated 24% more lead generation form submittals. 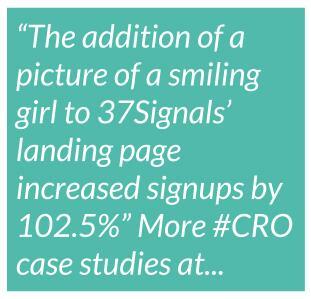 The addition of a picture of a smiling girl to 37Signals’ landing page increased signups by 102.5%. When IGN multivariate tested its homepage it found that simply changing a thumbnail image from abstract to an image of a person increased interaction by 11%. I could discuss the effectiveness of a picture of a smiling person on your website for hours, but just trust me that having an image (especially a person) is one of the most recommended strategies to optimize your site’s conversion rates. A picture of a person provides subtext to your landing page or website - a story which people respond to. We, completely subconsciously, focus on the faces of people we see (especially the eyes). I discussed this more in Chapter 8: Designing for Conversion. But there are three psychological factors within your images which make the greatest difference in conversion rate optimization. 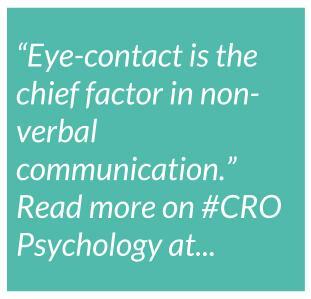 Eye-contact is the chief factor in non-verbal communication - something that makes up more than half of the meaning we take from a conversation. It’s equally essential in conversion optimization because eye-contact - no matter the medium - denotes trust, friendliness and openness. Eye-contact is also the first step in persuasion. 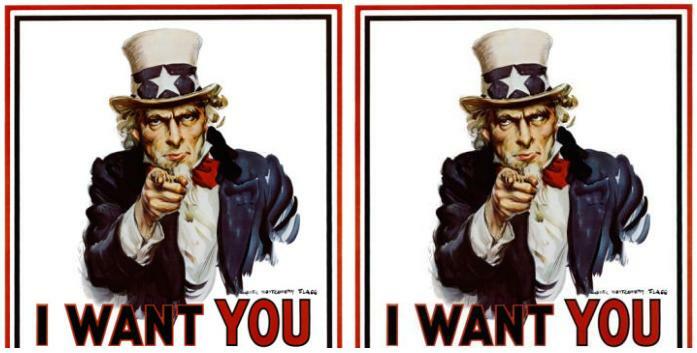 Consider the “I want you” poster from the U.S. Army... Which one is more compelling? This said, remember the theory of eye-direction from Chapter 8. The direction in which a model is looking sends your visitor’s eye in that direction as well. If there were something to Uncle Sam’s right, we’d likely be looking at it. Smiles are, internationally, a symbol of friendliness and openness. They are also universally understood to improve the attractiveness of the subject - which we all know has a huge influence on sales. A/B test the effect of eye-contact looking straight at your site visitor (or ad target) vs directing focus to your CTA or selling-point.